Submitted by Alexander Briones on May. 15, 2018. This is different to our other guitar amp guides in that we have first determined which brands have the highest average ratings via analysis of 20,403 review and rating sources, then we have selected the highest rated amp by each brand - you can read more about this in the Methodology section below. NB: This guide features Electric Guitar Amps, we have separate guides for Acoustic Guitar Amps and Bass Amps. From a fledgling studio that sold second hand music equipment back in the late 60s, Orange grabs the top spot in this list with their highly rated guitar amplifiers. Orange amps are easy to spot with their picturesque design, but what's interesting is how successful they continue to be, while veering away from amp modeling technology. By limiting the features of their amps, they made it easier for users to appreciate their brand of quality and tone, which translates to high ratings. Obviously, the influence of popular artists helps their cause, this includes Jimmy Page, Noel and Liam Gallagher, Billy Gibbons, Chino Moreno and many more. In addition to their distinct combo amplifiers, Orange amps is well known for their lunchbox size tube amps. 95 out of 100. Incorporating 375+ ratings and reviews. Orange Amps is no stranger in our amp guides, the Orange Crush 20RT made it to our Best Practice Amps guide, while the Orange OR15H secured a spot for the company as one of the best low watt tube amps. With the Orange Terror series, you can have premium high-gain tube tone without having to lug around heavy equipment. 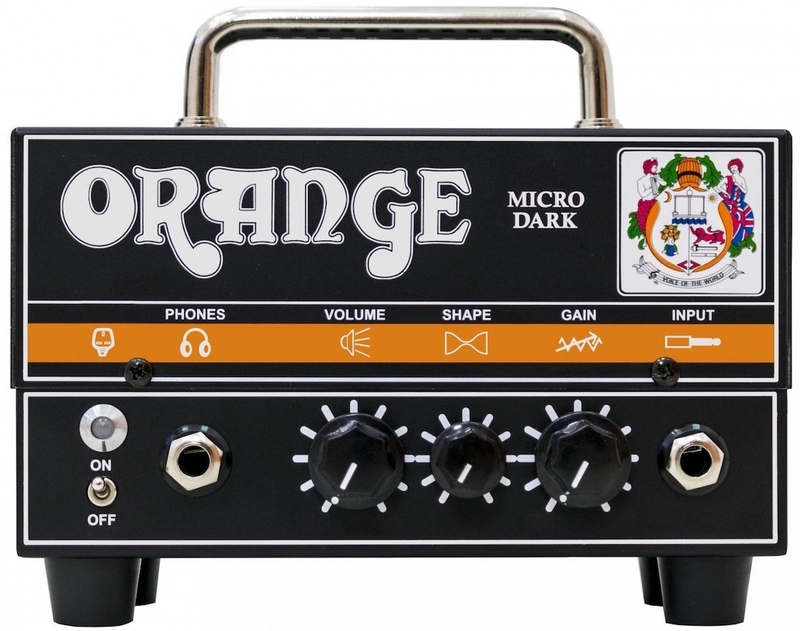 The Orange Micro is among the smallest in the Terror series of amps, following the same streamlined design of its siblings, but with a different "dark" tonality. This lunchbox amp combines a 12AX7 preamp tube with a solid-state power amp, all packed in a compact and lightweight profile. Awesome and amazing are just two of the many favorable adjectives that are used to describe the Orange Micro Dark. Most users find its tone to be convincingly tube like, while others are very impressed with its volume, considering its portable profile. A lot of users also appreciate its ease of use, and it also helps that it looks really good. Bobby Cannon of Guitar Player magazine describes it as "more than capable of delivering all the vicious tones you can dial in, and there’s no shame in going for a super-light amp that does the job..."
There's little negative commentary on the amp, but there are a few who gave it a lower score because of personal tone preference. If you're looking for a high-gain amp head that's easy to use and carry around, then the Orange Micro Dark is your best bet. Established over a century ago as a piano and reed organ builder, Yamaha has since expanded into building other musical equipment and even went on to successfully expand into other industries. But in all this success, Yamaha continues to stay true to their musical roots, producing highly rated instruments, amps and other gear. 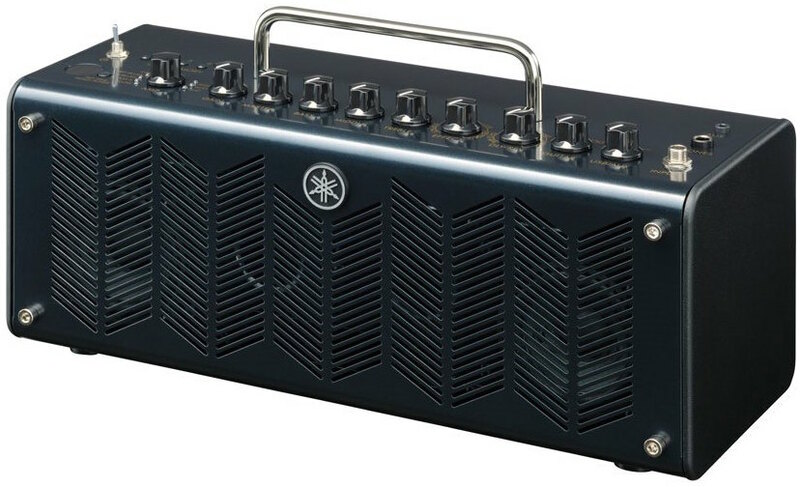 While they are not primarily a guitar amplifier builder, Yamaha's extensive reach and resources give them an almost unfair advantage over the competition, as exemplified by the success of their THR line of desktop guitar amplifiers. This line of portable amps combines Yamaha's penchant for student friendly features and modern studio functions that many guitarists appreciate, ultimately securing Yamaha a special spot on this list. Note that at the time of publication, the Yamaha THR10C had the same rating as the Yamaha THR10X, which ranked highly in our Best Guitar Combo Amps under $300 guide. While it may not look like a classic amplifier, if you're into classic rock style tones for home use, the Yamaha THR10C is probably the amp that you really need. Ideally, we would all be rocking with big amps, but not all of us have the space or acoustically tuned rooms to let loose. And since we are using low volume amps more often, Yamaha designed their THR line to be the best in providing you with just that - low volume performance for jamming, practice or recording. The THR10C is part of this line, featuring the same 10W setup and stereo 3" speakers, but with tones that replicate the sound of classic amps. It also houses some essential effects which include reverb, delay, chorus and more. In addition to the usual clean to overdriven tones, Yamaha also equipped this unit with acoustic guitar amp and bass amp models, so you can directly play or record with those instruments. All these features are packed in a distinct and portable profile, and is powered either by the supplied AC adapter or via 8 x AA batteries. One user summarizes market sentiment nicely by saying that the Yamaha THR10C is a phenomenal amplifier. Many of the commendations point to its great balance of sonic versatility and portability as its main strength, while others are pleased with its sound quality. Even experts are amazed by how it sounds, including Nick Guppy of Music Radar who commends it by saying: "While there are many small modelling amps around today, few of them look or sound as good as the THR." Build quality, USB recording convenience and the ability to run on batteries are also well received. There are a few who wish for the amp to be louder, but that maybe too much to ask for a 10W desktop amp. If you're looking for a portable practice and recording combo amplifier, and you have a taste for classic rock tones, then the Yamaha THR10C should be at the top of your list. Boss is well known for producing reliable and good sounding guitar effects, many of which continue to serve popular guitarists like Eric Johnson, Steve Vai, Marty Friedman and many more. Being a big player in one market doesn't always translate to success in another, but Boss' recent foray into the guitar amplifier market is proving to be quite successful, as evidenced by the consistently favorable ratings that most of their amplifiers are getting. To be specific, we are talking about the Boss Katana range of amplifiers, which combine Roland's (Boss' parent company) experience in amp building with Boss reputation for quality and reliability. Other Katana amps that topped others in our other guides include the Boss Katana 100, which is the combo version of this amp, and their smaller sibling, the Boss Katana Mini. 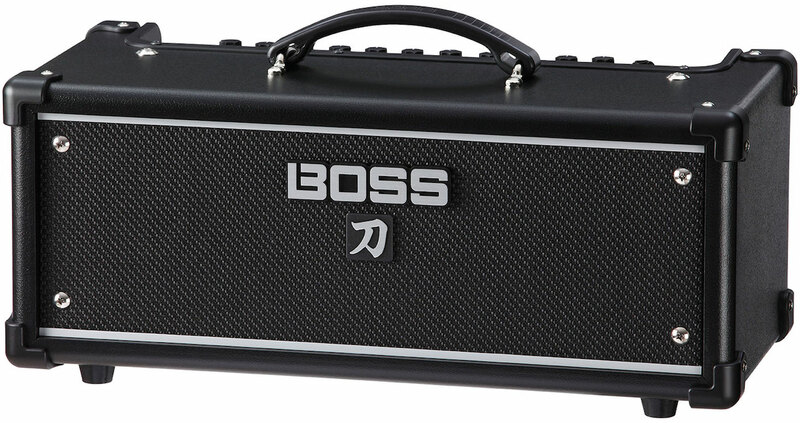 The Boss Katana Head is a full featured amplifier head that can handle stage, recording and practice duties. It does this with its built-in power attenuator, which lets you choose between 100W, 50W and a super quiet setting of 0.5W. To complement the 0.5W setting, Boss even added a built-in 5" speaker into the amp head - making the Katana head to be technically a combo amp in head form factor. Complementing its versatile power rating is its built in amp modeling, which gives you five voicings from acoustic, to clean to high-gain. As expected, this amp comes with essential effects from Boss, with over 50 of them to choose from, 15 of which can be loaded to the amp for quick use, albeit limited to just 3 effects running simultaneously. Finally, all these features are packed in sleek looking profile that feels really solid, as expected from Boss. Power: 100W (Switchable to 50W or 0.5W via built-in power attenuator). Reviews of the Boss Katana Head are generally positive, with many users pointing to its versatility as its main selling point. One user described it as a Swiss Army amplifier, which encapsulates what even experts are saying. Art Thompson of Guitar Player had this to say: "I found the quality of the amp and effects sounds to be quite satisfying. There’s good touch responsiveness on the higher gain tones, and these 100-watters are definitely capable of holding their own in a band." The inclusion of a built-in speaker got a lot of thumbs up from users who are happy that they don't have to use a different amp for practice. There are a few who are not too happy with some of the amps' voicings, while others are disappointed that they can only use up to 3 effects simultaneously. With its incredible power attenuator, built-in speaker and digital processing, the Boss Katana Head is very easy to recommend. Roland has come a long way from its humble beginnings back in the early '70s as a rhythm machine manufacturer. The company grew to produce various other instruments and amplifiers, and is now one of the biggest music gear manufacturers in the world. With so many guitar brands under their name that could produce amps for them - like Boss and Line 6 - they still take the effort to build their own branded amps, and the success that they are enjoying is proof that they are doing the right thing. Their most popular amp is still the Roland Jazz Chorus, as used by artists like Albert King, Andy Summers, Metallica's James Hetfield and Kirk Hammett, Robert Smith of The Cure, Jeff Buckley and many more. These days they have a variety of amplifiers in the entry to mid-tier market, most of which continue to garner great reviews. Roland's line up of top rated amps include the JC-120 Jazz Chorus, a highly sought after solid state amp, the MicroCube GX, a top rated portable guitar amplifier and the Cube 10GX. The Roland Blues Cube Artist looks and sounds the part of a vintage tweed tube era amplifier, but the innards tell a different story, being a solid-state amp with Roland's Tube Logic technology. And for something with tube amp modeling and USB direct recording, the amp comes with a streamlined set of features, having just two channels, clean and crunch, both of which have boost switches. Interestingly, this more traditional setup helped the amp score high points from users who want a pedal friendly amp that has the feel of tube without its usual drawbacks. Giving it a bit of an edge over older amps, is its built-in power attenuator that lets you lower the power rating from 80W down to 0.5W. For a bit of tone experimentation, the amp comes with a "dual tone" switch for blending the two channels in a way that's musically pleasing. Roland also equipped this amp with tremolo and reverb that complements its simple setup. Finally, the Blues Cube Artist lets you expand your tonal palette via its swappable "tone capsule", which is an analog component that you actually switch out to give the amp a different sound. There are currently three available tone capsules, two of which are artist signatures from Eric Johnson and Robben Ford, and the third one being Roland's own rendition of the Blues sound. Most reviewers are simply floored by how good the Roland Blues Cube Artist sounds right off the bat, with many commending its organic tube-like tone for being so life-like. It's vintage aesthetics and familiar controls also gets a lot of thumbs up, especially from experienced players who are in it for the sound, and not for the bells and whistles. It should also be mentioned that there are many reports of it working well with different types of guitars and pickup configurations. Value for money seem to be a common thread among the few who gave the amp lower scores, they are wishing that for the price Roland should've included the footswitch in the package. 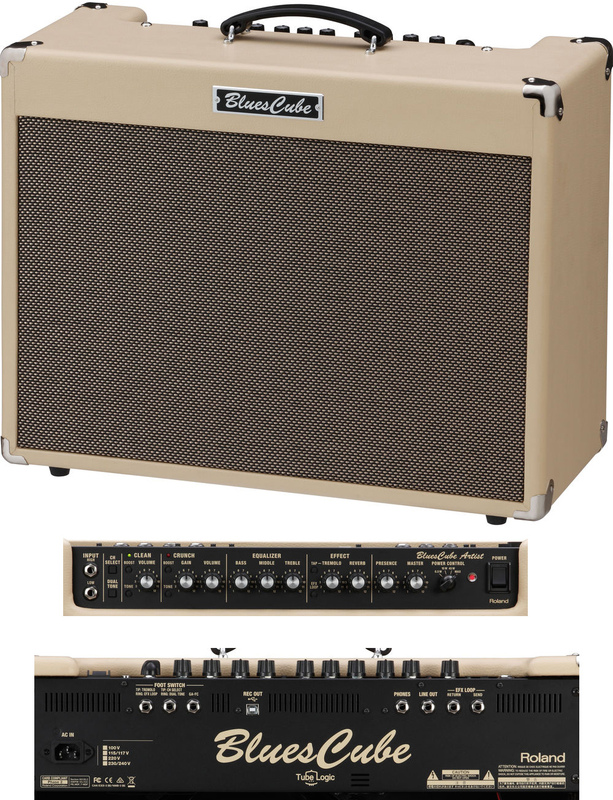 If you're looking for a solid state amp with tube like vibe and streamlined controls, then do check out the Roland Blues Cube. While the company officially started by importing Spanish guitars, the Ibanez that we know really started in the late '60s when they began copying popular American guitar designs. As expected they got flak for their unofficial "lawsuit" copies, but this ultimately inspired the company to improve on existing designs and develop their own. Soon, virtuosos and big name guitarists like Steve Vai, Joe Satriani and more took notice, propelling the Ibanez brand into world wide renown. Now Ibanez is as big as it gets, with a wide variety of instruments, pedals, and amplifiers under their name. They make it to this list with the high ratings that their amps are receiving, headed by their Tube Screamer Amplifier series, which comes with the circuit of their popular boost/overdrive pedal built into the amplifier section. 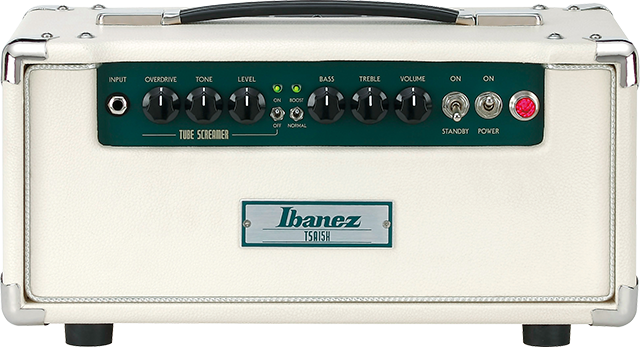 The combo version of this amplifier, the Ibanez TSA15H made it to our best guitar amps under $500 list. The Tube Screamer pedal has a long list of iconic users including Stevie Ray Vaughn, Gary Moore, John Mayer, Joe Bonamassa, The Edge and many more. As such, it is only expected for a company like Ibanez to take advantage of its popularity to extend their reach in the amplifier market - resulting in the creation of the Tube Screamer Amp (TSA) series. The Ibanez TSA15H leads the series in terms of ratings, with its compact yet versatile head profile while having the same combination of tube amplification and built-in tube screamer circuitry. At its core are two 12AX7 preamp tubes and two 6V6 power amp tubes, a standard configuration that sounds good on its own. Its standout feature is the implementation of a Tube Screamer circuit, which comes complete with the same controls as the iconic green pedal it is based on. The Ibanez TSA15H gets most of its high ratings from users who love the sound of a cranked tube amp, because this is where it excels. This is especially true of guitarists who use single coil guitars, but there are some humbucker users who are just as impressed. Even experts commend the amp's dynamic response, Premiere Guitar's Kenny Rardin comments: "It feels and responds like a good tube amp, and varying the controls dials in the response even further". Value for money and reliability are also commended, as expected from Ibanez. There are few who feel that the amp is a one trick pony, specifically those who are not into the classic cranked amp tone and are looking for other sonic flavors. The Ibanez TSA15H is a nice budget friendly amp for those who are looking to reproduce the classic biting tone of cranked tube amps. Fender has a long history of building amplifiers, so much so that many of the amps we see today still mimic the look and aesthetics of the amps that they built many decades ago. You could also say that many of the amps we have today can trace their roots to the classic Fender amp design. Also impressive is the long list of Fender amplifier users which include Eric Clapton, Jerry Garcia, Brian Setzer, Neil Young, Stevie Ray Vaughn, Eddie Van Halen and many more. For a company with a long legacy and a massive line up of amplifiers, maintaining high rating across the board is quite the feat, but then again, this is to be expected from the company that helped shape the electric guitar sound that we know today. These days, Fender is well represented in the entire amplifier market, from entry level models with amp modeling, to premium modern reproductions of their iconic tube amps. 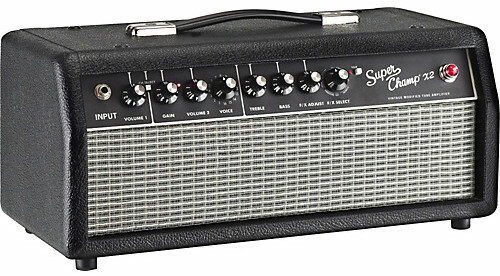 The Fender Super-Champ X2 HD is also highly recommended for those who are looking for a good quality low watt tube amp. And with Fender's high ratings, it's no secret that they continue to be a mainstay in many of our guides. Many of their top rated amps are from the Champion series, including Champion 100, Champion 20 and the Champion 40. The Fender Super-Champ X2 HD is a true champion when it comes to versatility and quality, combining old school tube technology with modern amp voicing and digital effects, all in a compact and portable 15W amplifier head. With a single 12AX7 preamp tube and two 6V6 power amp tubes, you can't lump this amp with conventional amp modelers, but you also can't group it with traditional tube amps because it does let you choose from 16 amp voicings that cover everything from clean Tweed tones to high-gain metal. In addition, the amp comes with 15 effects that include variations of reverb, tremolo, modulation and delay. With its low watt rating, the Super-Champ X2 HD is ideal for practice and recording, while being loud and portable enough for small venue gigs. Finally all these features are made available in a compact and more importantly - affordable package. Praises and recommendations continue to flood the reviews of the Fender Super-Champ X2 HD, pointing to its great value for money as its main selling point. Even users who are not happy with some of the extra features agree that the amp gives you more than what you pay for. As expected from a Fender tube amp, clean tone is well received, while others are equally happy with the other voicings. Another plus for the Super-Champ X2 HD is that it gets good feedback from guitarists of different playing styles and instruments, be it single-coil equipped or even those with active humbucker pickups. While many appreciate its bulk of features, there are a few who feel that Fender went overboard, and should've limited the voicings to just a few to ensure that sound quality is not compromised. On the other hand, there are some who felt that the extra features are nice, but they are turned off by the need to use a computer to get full access to all the controls. Thanks to the Fender Super-Champ X2 HD, you won't have to shell out too much money to have a quality and versatile tube amp head. It's amazing how this relatively new company, which officially started in 2007, is now playing with the big boys. Blackstar has a pretty straightforward claim to fame, and that is to provide premium quality high-gain tone in the price ranges that they enter into. And judging from the very positive response of rockers and metal heads, they are doing their job really well. As usual, artist endorsements play a big role, and Blackstar has big name backers like Neal Schon from Journey, Richie Sambora, Ted Nugent and Sammy Hagar to name a few, along with a long list of up and coming guitarists from rock and metal bands. While they still excel in providing high-gain tones, Blackstar amps also offer versatile overdrive and distortion flavors, thanks to the company's innovative ISF (Infinite Shape Feature) technology, which lets you change the tone of your amp from American to UK flavors with just one knob. With Blackstar's reputation for quality, it's not surprising to see their brand stamped on many of our guides. This includes the ID:Core Stereo 20 V2 amp itself in our guide to the best cheap guitar amps. Other well respected Blackstar amps include: Blackstar HT-1R, Blackstar ID:260 TVP and the Blasktar HT-1. 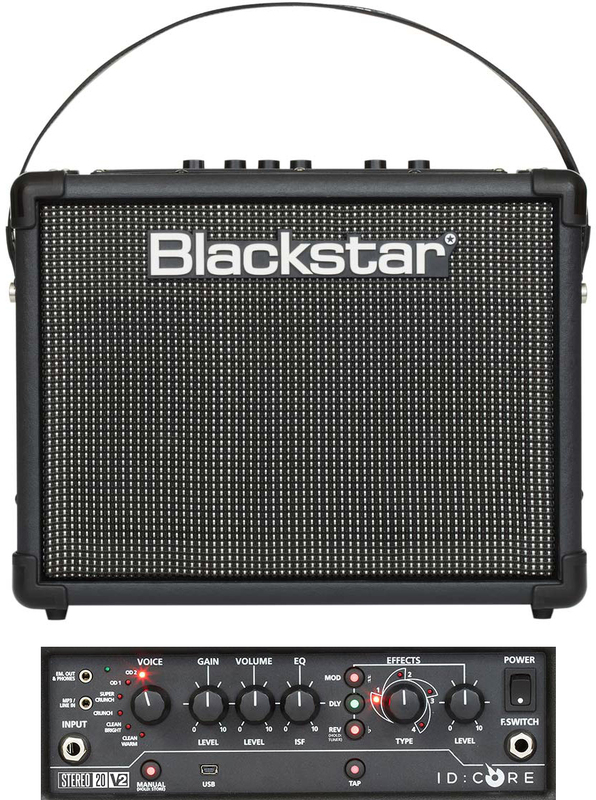 Being in the entry level section of the market, the Blackstar ID:Core Stereo 20 V2 is meant to be an all-in-one practice rig complete with amp modeling and effects. But what makes it stand out is the use of two 5" speakers for a fuller stereo sound, which complements the amp's versatile voicing features. Speaking of voicing, this amp is loaded with 6 essential tones to play with, two variations of clean (warm and bright), crunch (normal and super) and overdrive (OD1 and OD2), which by themselves are enough to play most musical styles. But being from Blackstar, this amp is equipped with their ISF (Infinite Shape Feature) knob that lets you fine tune the voicing of the amp to your preference. In addition, the ID:Core Stereo 20 V2 comes with 12 built-in effects, covering essential modulation types, delays and reverbs, all of which add up to a portable amp that gives you a lot of tone options. Understandably, the Blackstar ID:Core Stereo 20 V2's main selling point is its versatility, and this is reflected in the reviews. Sound quality also got a lot of thumbs up, with many describing the amp as full sounding, thanks to its stereo speaker configuration. For something this versatile, the amp's ease of use also gets commended quite often, with some finding it easy to dial in different sounds. Finally, a good number of users find the amp's overall build quality to be solid and reliable. While there are no complaints regarding its existing features, there are some who wish for basic EQ controls. It's hard to go wrong with the versatility and sound quality of the Blackstar ID:Core Stereo 20 V2. Hughes & Kettner is another new comer that's making really good progress in the market, thanks to the surge in popularity of their TubeMeister line of low-wattage tube amps. For a company that just started in the mid '80s, this is an incredible feat, and it seems like they are not letting up because they continue to get good market feedback from users and experts alike. This is mostly due to their commitment to building quality tube driven musical equipment, the same commitment which inspires their latest guitar amp models. Nuno Bettencourt, Alex Lifeson, Tony Macalpine, Allan Holdsworth are just a small sample of big name guitarists who help further expand the company's reach. From the same series is the Hughes & Kettner TubeMeister 18 which is an 18 watt tube amp head. The Hughes & Kettner Tube Meister 36 is a distinct looking tube amplifier head that's packed with features. For something that's compact, this amp can do quite a lot of what bigger amps can in terms of functionality, including having three channels that let you switch between clean, crunch and lead and a full set of complementary controls to tweak each channel to your liking. Another interesting feature of this amp is its TSC (Tube Safety Control), which automatically keeps the tube in bias and monitors them to extend their use. Finally, this amp head comes with a built-in Red box DI, so you can plug the amp head straight to any PA system or recording console without any problem. The people also installed a power attenuator into the amp, which lets you lower the rating to just 1 Watt for quiet practice. Wrapping up its features is the built-in reverb, which compliments the amp instead of distracting users. Market reception continues to be favorable, with many considering the TubeMeister 36's sound to be of excellent quality. The amp's three channels and built-in EQ are more than enough for many users who feel that they get more out of their money, while others appreciate its built-in DI box, which ties nicely with the amp's power attenuator. Price is the main gripe of the few who rated the amp lower, with some wishing that the footswitch was included for the price. Here's a true tube amp head that's versatile without having to result to amp modeling. Vox's history goes back to the late '40s, where they originally built electronic keyboards. Their presence in the guitar market started in the late '50s when they launched the 15-Watt AC15 amplifier which ultimately caught the attention of many iconic artists - including The Beatles, Queen, Dire Straits, The Yardbirds, The Rolling Stones, The Kinks and many more. These artists helped spread the brand's popularity around the world, but ironically, they were not enough to make the company profitable. This resulted in the Vox brand being owned by many different companies, thankfully Korg took over in 1990 and continues to take good care of the brand up to this day. 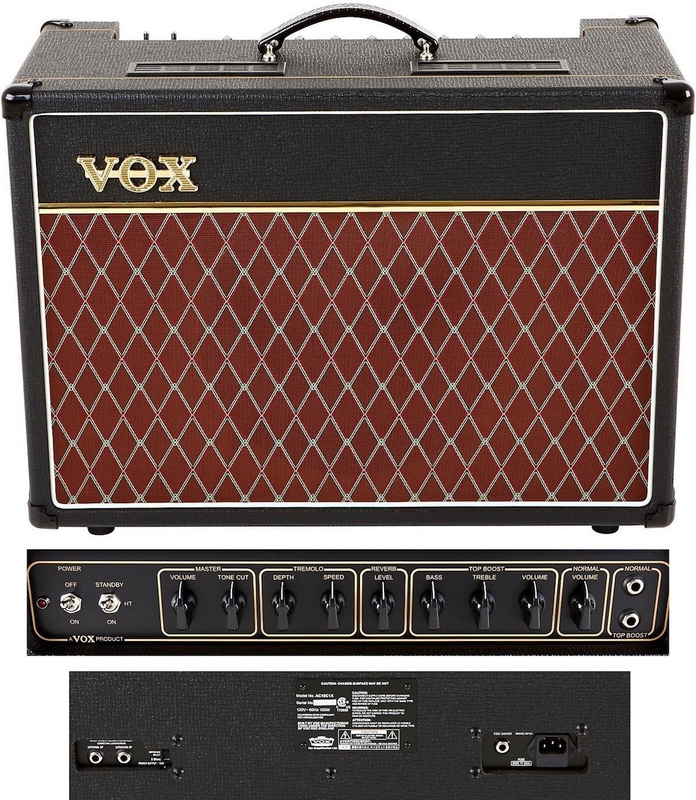 These days, Vox is still the go-to amp for chimey and jangly clean tones with an extensive line up of amplifiers, interestingly, their line up still includes modern reproductions of their popular AC15 and AC30 combos. Vox AC10C1, Vox VT40X, Vox Pathfinder 10, Vox Mini5 Rhythm. The AC15C1X is a modern take on the venerable AC15, with improved reliability and built-in effects. Vox's familiar clean and overdriven tone is ever present, courtesy of its three 12AX7 preamp tubes and two EL84 power tubes that drive a 12" Celestion Alnico Blue speaker - a speaker that many Rock and Blues players prefer. The amp has a dedicated Top Boost input for those who want Vox' distinct jangly tone. Finally, it comes with tremolo and reverb effect to add space and texture to your guitar tone. As expected, most of the many positive reviews are from guitarists who have love the classic Vox sound. Be it for single coil Telecasters or for humbucker equipped Les Paul style guitars, the Vox AC15C1X gets a lot of thumbs up for its responsiveness and clarity. A good number of reviewers also report that for a 15W amp, it can go really loud. There are a few who felt that the price is a bit too much for a one trick pony, mostly from those who are not into the Vox tone flavor. The Vox AC15C1X is a great modern reproduction of the classic British amp, well worth a place in anyone's collection of gear. It's interesting how one of the biggest brands in guitar amplification was built by a drummer! The story goes that professional drummer Jim Marshall was inspired by Pete Townshend, Ritchie Blackmore, and Big Jim Sullivan to develop a louder and better sounding amp. And he went about it by looking at a popular American amp design (i.e. Fender Bassman) and finding ways of how to improve it. After many prototypes, Jim and his team eventually came up with an amp that had their own "Marshall sound", this amp inherited the JTM label, an abbreviation of Jim's and his son Terry's names. The rest as they say is history, with Marshall being one of the most familiar amplifier brands, even to none musicians. Their brand is still the amp of choice for a long list of virtuoso guitarists, including Jimi Hendrix, Jeff Beck, Eric Clapton, Jimmy Page, Slash just to name a few. While their vintage and professional level amplifiers are still very much in demand, the company is not doing as great in the entry level to mid-tier market - which really is the bulk of where sales and reviews of come from. Still, their fans gave them enough good feedback to make it to this list, thanks to the improvements they are making to their entry level line of amps. 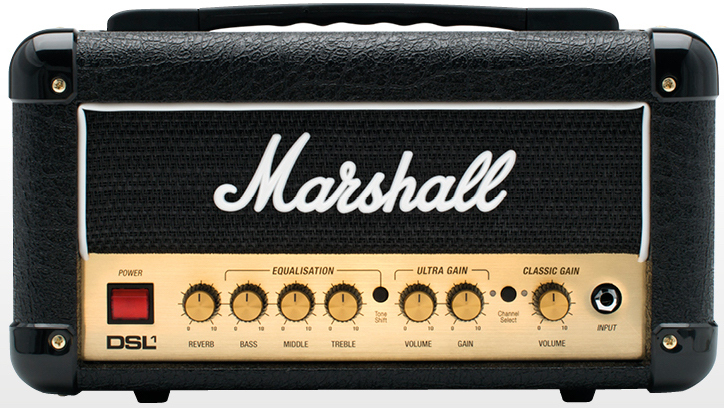 Marshall is enjoying success in the amp modeling market with the Marshall Code 50 . The older Marshall MG30CFX is also a good amp to buy in the sub $200 price range. Marshall's current best rated amplifier is the humble 1-Watt DSL1HR, an all-tube, dual channel amplifier head that gives you genuine Marshall tone and appeal in a more compact and practice friendly format. It is based on the JCM2000 Dual Super Lead (DSL) series that the company released in the late '90s, but with some modern enhancements to make it more user friendly. What's cool about this amp is that it can go lower than 1W via its built-in attenuator, which lets you switch to low power mode that has a 0.1W power rating. This means that you can crank the amp's dual ECC83 preamp tubes and ECC82 power tube at very low volume levels, great for quiet practice and for recording. Speaking of recording, Marshall equipped the DSL1HR with a speaker emulated Line out, using Softube's cabinet simulator technology. Other features include having two channels: classic gain and ultra gain, built-in reverb and pedalboard friendly effects loop in and out. More importantly, this tube amp is affordably priced and comes bundled with a footswitch. Response to the Marshall DSL1HR is overwhelmingly positive, with users praising it for its practicality and great tone. Most describe its tone as being true to the Marshall sound, while others use words like fierce and killer. A lot of bedroom rockers appreciate the amp's 1W and 0.1W switchable power rating, and complements it for being pedal friendly. Portability is also what prompted many users to get this amp. There are a few who are not happy with the amp's clean tone - but you don't really buy a Marshall amp for that. If you're looking for killer tones that won't send your neighbors hollering, then check out the Marshall DSL1HR. Tube technology is very much alive in today's digital age, thanks to guitarists who just could not let go of the sound of the past. Even with amp modeling inching closer and closer, there's just no replacing the warmth and organic response of tube amps, especially when recording. Still, there are practical drawbacks with this old technology, mostly due to its fragile nature and extra parts. Because of this, tube amps tend to be heavier and more fragile. Solid-state amps on the other hand have less parts to worry about, and are normally more sturdy and reliable. They are also usually paired with either digital or analog based amp modeling, which allows for a wider selection of tones, albeit without the x-factor that tube adds to amps. Because of this, there are some manufacturers who combine both tube and solidstate circuitry in one amp, but at the end of the day, these hybrid amps will require the same handling care and maintenance as a regular tube amp. Amp modeling is a polarizing topic for some guitarists, but it shouldn't be because the alternative is still widely available. If f you feel that amp modeling will just be a distraction then go for a straightforward amplifier. For those who do appreciate the versatility that they offer, there are now many options on the market, from the usual digital recreations of popular amps, to those with analog based amp voicing approximations. Combo amps come with a speaker built into the amplifier cabinet, making them heavier but more convenient. On the other hand, amp heads are lighter because they don't come with a speaker built-in. The amp head configuration allows you to freely choose the type of speaker and speaker cabinet that you prefer, with the complication of ensuring amp and speaker compatibility. Interestingly, there are now some amplifier heads that com come with built-in speakers that are only good for practice, making them technically a combo amp, but that's another story in itself. Without going into technical details, the amp's power rating is directly correlated to its loudness. This means that the higher the power rating is, the louder the amp can go. But loud is not always better, especially when considering space and noise level restrictions, this is why even those with big wall of amps have a humble practice amp to play quietly with. Low power amps also let you crank the gain at lower volumes, so you can get to your amp's sweet spot without being a noise nuisance. Thankfully, some big amps now come with built-in power attenuators, which give you the option to lower the power rating when needed. Also note that many tube amps are louder than similarly rated solid-state amplifiers. Another important factor to consider is speaker size, which impacts overall loudness and tonality. Bigger speakers can push more air and have more low end, while smaller speakers have limited pushing power, while emphasizing the mids. In addition to size, different speaker models and cabinet types also introduce subtle differences to the overall sound. Reverb is still the most commonly installed effect in amps, but there are some amplifiers that go overboard, to the point that they outdo even multi-effects units. Unfortunately, even those with the most number of effects allow for limited simultaneous use, so no, you can't put 10 virtual pedals together in your practice amp. Also don't expect the quality of built-in effects to match that of boutique pedals, but they can be a great addition to an amp if used sparingly and for appropriate songs. In addition to the 1/4" input for your guitar, you may want to consider amps with better connectivity features like those with built-in USB output for direct recording, footswitch input, aux input for jamming with tracks, and headphone output. Speaking of headphone out, there are some amps that come with built-in speaker cabinet simulated outputs, this subtly changes the resulting sound much like the amp cabinet would without having to actually use the speaker. There are also a number of newer guitar amplifiers that come with Bluetooth connectivity for streaming audio and for software control. Among the most common rookie amp buyer mistakes is buying a big amp that's too heavy to gig with, or going the opposite and buying one that's too small. If you're gigging at different places and you don't have a roadie, then consider going with a smaller amp that has DI output so you can go straight to PA with your tone intact. In big venues where big amps are a must, some opt for amp heads because the separated head and speaker cabinet are lighter on their own, although you'll have to move more pieces. We began the process by creating a 'short-list' of brands that have amps selling in the sub $1000 price range with amps that have strong enough ratings to be short-listed for any of our other electric guitar amp guides. This gave us the following 22 brands to consider: Blackstar, Boss, Bugera, California Tone Research, DV Mark, Egnater, EVH, Fender, Hughes & Kettner, Ibanez, Laney, Line 6, Marshall, Orange, Peavey, PRS, Randall, Roland, VHT, Vox, Yamaha and ZT. We then updated our ratings for all qualifying amps, and added more qualifying amps to our database, and used those data to produce an average rating for each brand. We then selected the 10 highest rated brands to present above. 20,403 review and rating sources were analyzed during this process. Finally, we selected the highest rated amp from each brand to feature above. For more information about our methods and how we produce our ratings, please read How Gearank Works.